Olive trees have been around for many thousands of years with a long history dating back to ancient civilizations. They are among the oldest known cultivated trees in the world. In Portugal, olive trees or “Oliveiras” have been farmed for a long time since the Visigoths and later by the Arabs. They produced the “az-zait” that means “olive juice” in the southern regions of Portugal. However it was the religious orders in the Middle Ages that paid a special attention to the production of the olive oil. In an attempt to improve its characteristics, it has been transformed and adapted by man, throughout the ages, in order to obtain the tree nowadays known as Olea Europea L.
The “Oliveira” is a medium-sized tree, very resistant to drought and its roots can reach 6 meters. There are several varieties of olives, that will produce different types of olive oils, with different colors, aromas and flavors. 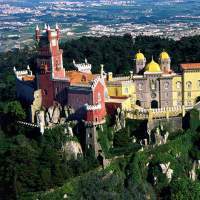 The most used ones in Portugal, among others, are the Galega (in the south) and the Cobrançosa (in the north). The production of olive oil begins with its harvest between the months of November and February. 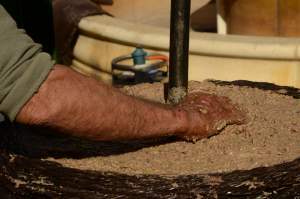 The harvesting of the olives can be made either by hand in the traditional way or with the help of machinery. In Portugal, there’s a method called ‘Ripar’ that consists in picking the olives manually. The women throw blankets upon the ground and the men climb the trees and shake the branches to release the olives. The women pick them up and put them in baskets. 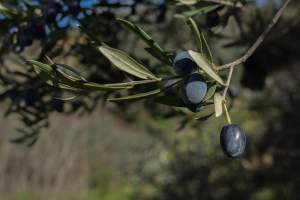 The other method is called ‘Varejamento’ and is similar to the previous one but using a stick to beat the branches and cause the olives to fall. In large olive groves, these methods became very expensive owing to the expenses with the workers’ wages giving way to the mechanized harvest, adaptable to the characteristics of the tree and the land. A machine can harvest almost as much as 50 workers thus making the crop much more effective. On average, an olive tree gives 20 kg of olives, requiring about 5 to 6 kg to produce 1 L of olive oil. 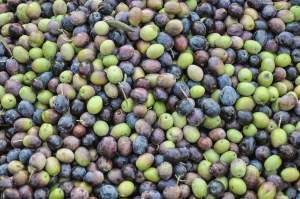 Once harvested, the olives must be cleaned by removing the leaves and branches and stored afterwards in specific boxes in order to avoid fermentation, heating or the appearance of mold that may change their characteristics. Once stored the olives are transported to the mill to be ‘worked’. 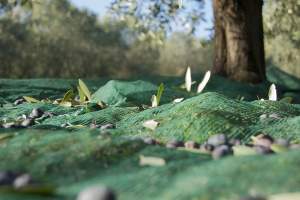 The olives are graded according to their variety, if they are picked up from the ground or from the tree, if they’re in perfect condition or attacked by pathogens in order to be worked separately. All olives are washed with running water in order to eliminate any impurities. Then it’s time for the ‘Moenda’ procedure which consists on the transformation of the olives into a paste with the help of a mechanical hammer mill followed by the ‘Batedura’ procedure; at this stage, the paste undergoes a slow and continuous beat, in a slow heating (25 to 30 degrees). Finally, the oil is extracted by centrifugation of the olive paste, subjecting it to a high spinning movement which causes the oil to separate itself from the water and olive residues. Once separated, the oil is filtered to remove any residues that may yet exist in order to be stored and packed. – “DOP olive oils” are cultivated in a geographically defined area with a characteristic soil and climate that produces certain varieties of olive trees. The olives have to be picked up and the oil extracted in a specific way; this gives them unique characteristics that distinguish them from other olive oils. Portugal has six DOP regions for olive oil. – “Elemental or Monovarietal Oils” are obtained from a single variety of olives. 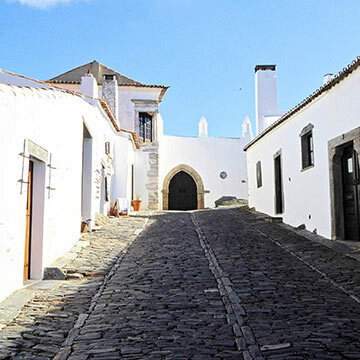 Join Portugal Premium tours on a tour to the region of Alentejo and know more about the olive oil production. 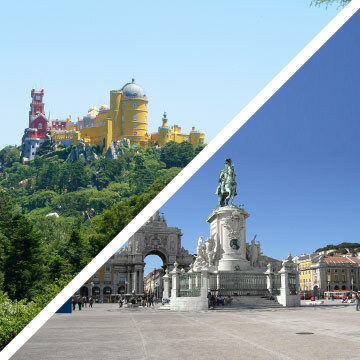 You’ll only to visit the city of Évora, classified as a World Heritage Site by Unesco, but also have the opportunity to visit a local Olive oil farm and taste their olive oil.